In this conclusion to her groundbreaking trilogy, Cusk unflinchingly explores the nature of family and art, justice and love, and the ultimate value of suffering. 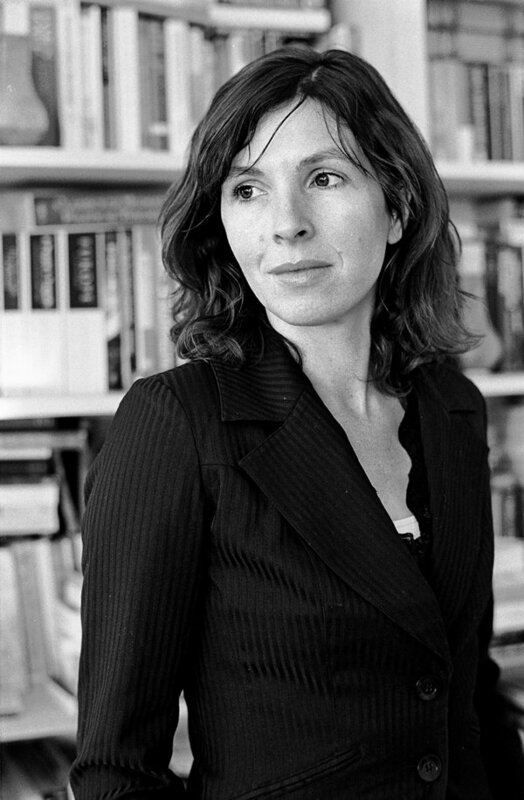 Rachel Cusk is the author of Outline, named one of the New York Times Book Review’s Ten Best Books of 2015; Transit; the memoirs A Life’s Work, The Last Supper, and Aftermath; and several other novels: Saving Agnes, winner of the Whitbread First Novel Award; The Temporary; The Country Life, which won a Somerset Maugham Award; The Lucky Ones; In the Fold; Arlington Park; and The Bradshaw Variations. She was chosen as one of Granta’s 2003 Best of Young British Novelists. She lives in London. 1. 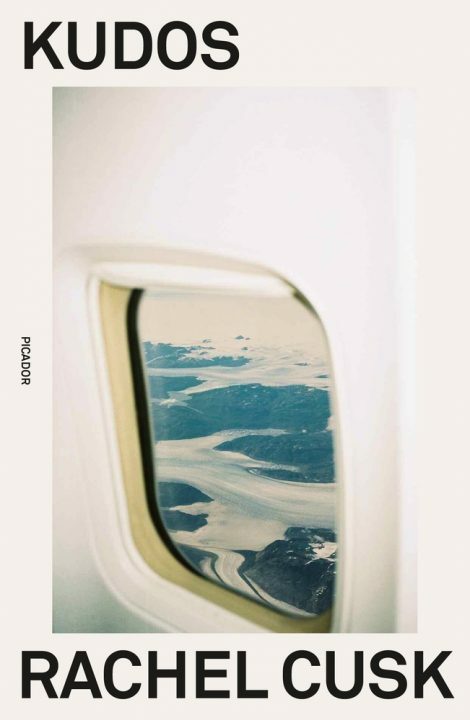 As the book opens, the narrator tells us, “The man next to me on the plane was so tall he couldn’t fit in his seat.” Who is this man and why is he traveling? What does he reveal about himself and his family that lays the groundwork for themes that will be developed? 2. What is the plot or storyline of Kudos? Who is the narrator? What is her name? Where is she traveling? What else do we know about her? Is there significance in what we are not told? 3. What does Kudos have to say about the value of listening? Who are the listeners and who are the talkers? Why do the characters feel compelled to tell their stories? What does the narrator do, not just to keep them talking, but to draw out deep feelings and secret concerns? 4. Early in the literary festival, the narrator meets with her publisher. He will be moderating a reading that features her and another writer, Linda, who is promoting her first novel. Of Linda’s book, the publisher says, “It reassures them [readers] of the absurdity of life, without causing them to feel that they themselves are absurd.” Is this a useful description of the function of literature? Is it a description that fits Kudos? 5. The subject of freedom comes up in many conversations. In the opening pages, the man on the plane talks about a spreadsheet titled “Freedom” that he kept so he would know when he could afford to retire. Linda relates a story about a skier who in the moments before a serious accident feels “an extraordinary sense of her own power, and also of her freedom.” The narrator, in describing her son’s relationship with a friend’s family, says, “He understood that he had given some of his freedom away, through a desire to avoid or alleviate his own suffering.” What are some other stories that examine the concept of freedom and what it is that makes people feel free? What do these stories imply about the costs or consequences of freedom? Specifically, what do the female characters reveal about the nature of freedom? 6. The narrator repeatedly finds herself in situations that aren’t quite right. She gets lost in her hotel, stands in line for food that never comes, goes to interviews that are cut short. How might these experiences relate to life as a writer? Are disorder and freedom presented as crucial to the creation of art or as impediments? 7. Several unusual structures are described in the book—the round hotel, the concert hall beneath the park, the burned-out church. What are other examples? What might these symbolize? 8. Hermann is a student who works as a guide at the literary festival. His mother is the festival director. What is unusual about Hermann? How is his view of the world different from the narrator’s? What does he say about himself that is pertinent to the themes explored in Kudos? 9. The narrator describes in detail several of the writers in attendance at the conference. There is the Welsh writer who keeps wandering off by himself, the Irish writer who has given his body over to a diet and fitness regime. Who are the others she meets? How does she describe their personalities and physical appearances? What do we learn from each of these encounters about the characters’ priorities and concerns? About the work of writing? 10. How do the male and female writers behave toward one another? Who is confident? Who is self-deprecating? Does a definition of feminism emerge from the narrator’s descriptions of the people she meets and her conversations with them? 11. Who are the children and parents in the book? How does each of the mothers or fathers describe their children? What are their worries? How do they feel about being parents? 12. While the narrator is present in every line, she also seems to be hiding behind the people she meets and the stories they tell her. Why might Rachel Cusk have chosen this narrative strategy, given her central themes? 13. Paola, the narrator’s editor, says that she has stopped believing in romantic love. She says, “Even at fifty I had somehow kept the idea of finding my true mate, as though he were the hero of a novel who had failed to turn up and had to be tracked down before the novel ended. But my body knows better . . . and it demands to be left alone.” What are other ways romantic love is described? What other kinds of love are depicted? Is love presented as more about suffering or happiness? Have the male and female characters had different experiences with love, romantic and otherwise? 14. The book is populated with divorced women and married men. The narrator has remarried, but her husband does not appear in her thoughts or conversations with others. Is this choice meant to emphasize her independence or to intimate that something is awry in her life? What is the picture of marriage that emerges? 15. Toward the end of the book, the narrator faces a young interviewer who says to her, “I wonder . . . if you have ever thought of what it would be like to live in the sun.” Why does he ask her this, and how does she respond? Later, she visits a beach, where the light is “bruised” and “dusky.” What might her experiences at the beach signify about life in the sun? How does she feel as she talks to her son, walks, swims? Is the beach another version of freedom? Does the book have a satisfying ending? 16. What is the significance of the title? What does the novel reveal about the role of recognition and fame and its relationship to art? The man next to me on the plane was so tall he couldn’t fit in his seat. His elbows jutted out over the armrests and his knees were jammed against the seat in front, so that the person in it glanced around in irritation every time he moved. The man twisted, trying to cross and uncross his legs, and inadvertently kicked the person to his right. He sat motionless for a few minutes, breathing deeply through his nostrils with his hands clenched in his lap, but before long he became restless and tried to move his legs again so that the whole bank of seats in front of him was jolted back and forth. Finally I asked him if he wanted to change seats, since mine was on the aisle, and he accepted with alacrity, as if I had offered him a business opportunity. He stretched out into the aisle and his head fell against the back of the seat in relief. ‘Thank you very much,’ he said. The plane began to move slowly out over the tarmac. My neighbour gave a contented sigh and appeared almost instantly to fall asleep. An air hostess came up the aisle and stopped at his legs. He jerked awake and folded himself awkwardly back into the narrow space in front so that she could pass. The plane paused for a few minutes and then lurched forward and then paused again. Through the window a queue of planes could be seen ahead, waiting their turn. The man’s head began to nod and soon his legs were splayed once more across the aisle. The air hostess returned. She moved away and gradually his head began to nod again. Outside a haze stood over the flat grey landscape so that it seemed to merge with the overcast sky in horizontal bands of such subtle variation that it almost resembled the sea. In the seats in front a woman and a man were talking. It’s so sad, the woman said, and the man grunted in reply. It’s just really sad, she repeated. There was a pounding of footsteps up the carpeted aisle and the air hostess reappeared. She put her hand on my neighbour’s shoulder and shook it. ‘I’m afraid I’m going to have to ask you to keep your legs out of the way,’ she said. ‘I’m going to have to ask that you do,’ she said. ‘I didn’t actually get to bed last night,’ he said. He rubbed his face and rearranged himself in his chair. He took out his phone and checked it and put it back in his pocket. She waited, watching him. Finally, as though satisfied that he had genuinely obeyed her, she went away. He shook his head and made a gesture of incomprehension, as though to an unseen audience. He was somewhere in his forties, with a face that was both handsome and unexceptional, and his tall frame was clad with the clean, well-pressed neutrality of a businessman’s weekend attire. He wore a heavy silver watch on his wrist and new-looking leather shoes on his feet; he exuded an air of anonymous and slightly provisional manliness, like a soldier in uniform. By now the plane had made its halting progress up the queue and was slowly turning in a wide arc towards the runway. The haze had turned to rain and droplets ran down the window pane. The man looked out with an exhausted stare at the gleaming tarmac. The clamour of the engines was rising around us and the plane finally surged forward, then rose tipping and rattling through layers of thick wadded cloud. For a while the dull green network of fields beneath us with its block-like houses and huddled groups of trees returned to sight through sporadic rents in the grey before it closed over them. The man emitted another deep sigh and in a few minutes had gone back to sleep, his head lolling forward over his chest. The cabin lights flickered on and the sounds of activity began. Before long the air hostess was at our row, where the sleeping man had once more stretched his legs out into the aisle. He lifted his head and looked around himself, bewildered. When he saw the air hostess standing there with her trolley he slowly and effortfully withdrew his legs so that she could pass. She watched with pursed lips, her eyebrows arched. ‘Thank you,’ she said, with barely concealed sarcasm. ‘It’s not my fault,’ he said to her. Her painted eyes fell on him momentarily. Their expression was cold. ‘I’m just trying to do my job,’ she said. There was a pause in which the two of them looked at one another. ‘You’ll have to take that up with the airline,’ she said. ‘I’m taking it up with you,’ he said. She folded her arms and lifted her chin. ‘So your suggestion is that I fly with someone else,’ he said. He gave a sour bark of laughter at her departing back. For a while he continued to smile self-consciously, like someone who has mistakenly wandered out onstage, and then, apparently to disguise his feelings of exposure, he turned to me and asked the reason for my trip to Europe. I said I was a writer and was on my way to speak at a literary festival. Immediately his face assumed an expression of polite interest. ‘What kind of thing do you write?’ he said, after a while. I said it was hard to explain and he nodded his head. He drummed his fingers on his thighs and tapped a disjointed rhythm with his shoes on the carpeted floor. He shook his head from side to side and rubbed his fingers vigorously over his scalp. He said it pragmatically, as though he was used to solving problems at the expense of personal feeling, but when I turned to look at him I was surprised to see a pleading expression on his face. His eyes were red-rimmed with yellow whites and his neatly cut hair stood on end where he had rubbed it. The strange thing about this friend, the man went on, was that despite his profession he was a fanatical environmentalist. He drove a tiny electric car and ran his household entirely on solar panels and windmills. Yet this same man regularly donned a uniform and climbed into the cockpit of a fifty-ton smoke-spewing machine and flew a cabin-load of drunken holidaymakers to the Canary Islands. It was hard to think of a worse route to fly, yet his friend had flown it for years. He worked for a budget airline that practised the most brutal economies, and apparently the passengers behaved like zoo animals. He took them out white and he brought them back orange, and despite earning less than anyone else in their circle of friends, he gave half his income to charity. I said he seemed very young to be retired. He had been the director of a global management company, he said, a job that involved being constantly away from home. For example, it wasn’t unusual for him to visit Asia, North America and Australia all in the space of two weeks. He had once flown to South Africa for a meeting and flown back again as soon as the meeting was over. Several times, he and his wife had worked out where the halfway point was between their two locations and then met there for a holiday. Once, when the company’s Australasian branch had gone into meltdown and he’d had to stay over there to sort it out, he hadn’t seen his children for three months. He’d started work at eighteen and now he was forty-six, and he hoped he would have enough time to live the whole of his working life in reverse. He had a house in the Cotswolds he’d barely set foot in and a whole garage full of bikes and skis and sporting equipment he’d never had time to use; he had friends and family he’d spent the past two decades mostly saying hello and goodbye to, since he was usually either going away and had to prepare and go to bed early, or coming back exhausted. He had read somewhere about a medieval method of punishment that involved incarcerating the prisoner in a space specially designed to prevent him from being able to fully extend his limbs in any direction, and though just thinking about it made him break out in a sweat, it pretty much summed up the way he had lived. I asked him whether his release from that prison had lived up to the title of his spreadsheet. He couldn’t believe, for example, how late they slept in the morning. All those years that he’d left the house before dawn, the thought of their slumbering forms in the darkness had often made him feel purposeful and protective. If he’d realised how idle they were he might not have seen it the same way. Sometimes he had to wait until lunchtime for them to get up: he had started going into their rooms and opening the curtains, as his father used to do every morning when he was growing up, and was astonished by the hostility this action elicited. He had tried to schedule their mealtimes – they all, he had discovered, ate different foods at different times of day – and to institute an exercise routine, and was trying hard to believe that the full-scale revolt these measures provoked was proof of their necessity. He recounted all this with an abashed and easy confidentiality that made it clear he spoke for the purposes of entertainment rather than to arouse consternation. A deprecating smile played around his mouth, showing an even row of strong white teeth. He had grown more animated while he spoke, and his desperate, wild-eyed demeanour had softened into the genial mask of the raconteur. I had the impression that these were stories he had told before and liked to tell, as though he had discovered the power and pleasure of reliving events with their sting removed. The skill, I saw, lay in skirting close enough to what appeared to be the truth without allowing what you actually felt about it to regain its power over you. I asked him how, given his oath, he had come to find himself on an aeroplane again. He smiled again somewhat shamefacedly and ran a hand through his fine brown hair. He had been supposed to fly out with his wife and children yesterday but their dog had been taken ill and he’d had to let them go on without him. It might sound ridiculous, but the dog was probably the most important member of their family. He’d had to sit up with him all night and then drive straight to the airport. I said it was true that the question of whether to leave or remain was one we usually asked ourselves in private, to the extent that it could almost be said to constitute the innermost core of self-determination. If you were unfamiliar with the political situation in our country, you might think you were witnessing not the machinations of a democracy but the final surrender of personal consciousness into the public domain. For a moment he looked confused, as though he couldn’t remember which dog I was talking about. Then he furrowed his brow and pouted and blew out a great sigh. ‘It’s a bit of a long story,’ he said. The dog – his name was Pilot – was actually quite old, he said, though you wouldn’t have thought it to look at him. He and his wife got Pilot shortly after they were married. They had bought their house in the countryside, he said, and it was an ideal place to have a dog. Pilot was a small puppy, but even then he had the most enormous paws: they knew the breed could get very large, but nothing had prepared them for the extraordinary size to which Pilot eventually grew. Every time they thought he couldn’t get any bigger, he did: sometimes it was almost funny to see how disproportionately small he made everything around him look, their house and their car and even one another. His wife was pregnant with their first child and so Pilot became his own project: he didn’t travel as much for work in those days, and for several months he spent most of his free time training Pilot, walking in the hills with him and forming his character. He never spoiled him or gave in to him; he exercised him unfailingly and rewarded him sparingly, and when, as a young dog, Pilot chased a herd of sheep, he beat him with a severity and with a confidence that surprised even himself. Most of all, he was careful how he behaved in front of Pilot, for all the world as if the dog were human, and indeed by the time he reached maturity Pilot possessed an unusual intelligence, as well as a ferocious bark and a giant, muscular body. He treated the family with a sensitivity and consideration that other people found frankly uncanny, though over time they themselves had become used to it. For instance, when their son was seriously ill with pneumonia last year, Pilot had sat outside his room day and night and automatically came to get them if the child called for anything. He was attuned to and even mirrored their daughter’s periodic episodes of depression, which sometimes they had only become aware of because Pilot had grown morose and withdrawn. Yet if a stranger came to the house he would transform himself into a guard dog of the utmost vigilance and ruthlessness. People who didn’t know him were terrified of him, and rightly, because he would have killed them without hesitation if they had presented any threat to the members of the household. It was when Pilot was three or four years old, the man went on, that he got his major career break and began to be away from home for extended periods of time, and he felt able to leave, knowing that the family would be safe in his absences. Sometimes, he said, when he was away, he would think of the dog and feel almost closer to him than to any other living thing. So he couldn’t have left him in his own hour of need, despite the fact that his daughter was to be the main soloist at the concert and had been practising for weeks. The performance was part of an international festival and there would be a large audience: it was a fantastic opportunity. Yet Betsy didn’t want to let Pilot out of her sight. He had the devil’s own job getting her to go: it was as if she didn’t trust him to look after his own dog. He hadn’t really realised his daughter was so good at playing the oboe, he added. She had started taking lessons when she was six or seven and frankly it had always sounded pretty awful, to the extent that he had had to ask her to do it in her room. The squeaking noise set his teeth on edge, particularly when he’d come off a long flight. Often he could still hear the reedy, insinuating sound behind her closed door and if he was trying to sleep off his jet lag it was actually quite annoying. He had wondered once or twice whether she did it to persecute him, but apparently she practised just as much when he wasn’t there. Occasionally he had gone so far as to suggest that it might be healthier for her to practise less and do other things more, but this opinion had been met with much the same scorn as his attempts to impose discipline on the family timetable. And to be honest, when asked what he thought she ought to be doing with her time, all he could think of were the kinds of things he’d done at her age – socialising and watching television – that he somehow considered more normal. As far as he was concerned, hardly anything about Betsy was normal. For example, she suffered from insomnia: what average fourteen-year-old can’t sleep? Instead of eating dinner, she would stand by the kitchen cupboards lifting handfuls of dry cereal to her mouth straight from the box. She never went outside and, since her mother drove her everywhere, rarely walked. He had been told that when he wasn’t there she walked Pilot every day, but since he never witnessed it he found it difficult to believe. It had got to the point where he’d started to wonder how she was ever going to leave home, and whether they might have to keep her there forever, like some kind of failed experiment. Then one evening Betsy was playing in a school concert and he went along with his wife, and with every expectation of being secretly bored sat jammed into a small chair in the auditorium amidst the other parents. The lights came up and in front of the orchestra on the stage stood a girl he took a long time to recognise as Betsy. She seemed much older, for a start; and there was something else, perhaps the fact that she didn’t appear to need him or to reproach him with the problem of her existence, that was startlingly relieving. Once he accepted that it was her, what he felt was the most terrible, ominous fear. He was absolutely certain she would embarrass herself and he clutched his wife’s hand, believing she felt the same way. The conductor arrived – a man he immediately prepared himself to dislike, dressed in black jeans and a black polo-neck sweater – and the orchestra began to play, and at a certain point Betsy started playing too. What he noticed was how closely Betsy watched this conductor and responded to his slightest sign, nodding her head and lifting the instrument to her lips, her large eyes unblinking. Of such a silent feat of intimacy and obedience he had not thought his daughter capable, he who couldn’t persuade her to eat her cereal from a bowl. Only after some minutes did he connect the eerie, snaking sound with her more literally: he had sat in enough audiences to know that this one was charmed, spellbound, and only then was he able to really listen. What he heard drew water from his eyes in such quantities that people began to glance round at him in their seats. Afterwards Betsy claimed she could see him weeping from the stage because of his height. She said it had been embarrassing. From earliest childhood, he said, Betsy had been unlike other children – and not in a good way. She was unbelievably neurotic: when they went to the beach, for example, she couldn’t bear the feeling of sand under her feet and so they would have to carry her everywhere. She couldn’t stand the sounds of certain words and would scream and put her hands over her ears if anyone said them. The list of things she wouldn’t eat, and the reasons why, was so long it was impossible to keep up with. She was allergic to everything and constantly ill and was also, as he’d said, an insomniac. Often he and his wife would wake in the middle of the night to find Betsy standing beside their bed like a ghost in her nightdress, staring down at them. As she grew older the most serious problem of all became her extraordinary sensitivity to what she called lying, but what was actually as far as he could see the normal conventions and speech patterns of adult conversation. She claimed that most of what people said was fake and insincere, and when he’d asked her how she could possibly know that, she replied that she could tell by the sound. As he’d said, even as a very small child the sound of certain words had been unbearable to her, but as she got older and started school this problem became more rather than less pronounced. They had moved her to a different school that dealt with her problems more expertly, but even so it made family and social relationships somewhat difficult when their child would run shrieking from the room with her hands clamped to her ears just because one of their guests had claimed to be so full she couldn’t possibly eat dessert, or that business was booming despite the economic downturn. He and his wife had tried hard to understand their daughter, to the extent that when they talked to each other after the children had gone to bed they would try to inculcate her sensitivity in themselves, straining their ears to hear the insincerity in one another’s phrases, and they had discovered that it was indeed true that much of what you said was pretty scripted and that if you really thought about it you could admit it didn’t often represent how you actually felt. But they still fell foul of Betsy with great regularity, and he had noticed that his wife was growing increasingly silent, which he believed to be Betsy’s doing, by creating such a minefield around communication that it was easier to say nothing at all. Perhaps for this reason – because he couldn’t speak, and therefore lie – Betsy adored Pilot with a sometimes unnerving ferocity. Yet not long ago there had been an episode that had caused him to question, for the first time, Betsy’s definition of truth and her tyranny in the matter of storytelling. He had taken her out with him to walk Pilot and the dog had suddenly bolted. They were in the park of a stately home and somehow he had failed to realise that they kept deer there and had let Pilot off his lead. Usually Pilot was scrupulously obedient around livestock, but on this occasion he had behaved in a way that was completely out of character. One minute he was there beside them, and the next he was gone. I told him I had gone there only once, years ago, with my son. He was finding life difficult at the time, I said, and I had thought a trip away would be good for him. But then at the last minute I had decided to take another boy along too, the son of a friend of mine. My friend was ill and needed to go to hospital and so I thought it would help her. The two boys didn’t get on very well, I said, and my friend’s son needed a lot of attention, so while my own son might have expected to be my focus for a few days, in the end it didn’t work out like that. There was an exhibition I very much wanted to see and so one morning I persuaded the two of them to come with me to the gallery. I had thought we could walk there but I had judged the distances wrongly and we ended up walking for miles along a sort of motorway in the pouring rain. It turned out my friend’s son never went to galleries and wasn’t interested in art, and he began to misbehave, so that the attendants had to reprimand him and eventually asked him to leave. In the end I had to sit with him in the café in our wet clothes while my son went to the exhibition on his own. He was gone for about an hour, I said, and when he came back he described everything he’d seen for me. I didn’t know, I said, whether it was ever possible to ascribe a final value to the experience of parenthood, to ever see it in its totality, but that time we spent in the café while he talked was one of its moments of grace. One of the things he’d seen was a giant wooden crate in which the artist had reconstructed his own room in its life-sized entirety. Everything was there – furniture, clothes, typewriter, piles of paper and books lying open on the desk, dirty coffee cups – but it had been inverted so that the floor was the ceiling and the whole room was upside down. My son had been particularly struck by this upside-down room, which you entered through a small doorway in the crate, and had spent a long time inside it. Often, I said, in the years afterwards, I would remember his description of it and imagine him sitting there, in a world that contains all the same elements but is the other way round from how you expect it to be. ‘And did he go on to become an artist?’ he said, as though that could be the only explanation for my telling him these things. ‘Oh, okay,’ he said, nodding his head. His own son, he said, was the academic type, far more so than Betsy. He wanted to be a vet. He kept all sorts of weird animals in his room: a chinchilla, a snake, a pair of rats. They had a friend who was a vet and his son spent most of his weekends there, at the surgery. It was his son, in fact, who had noticed there was something wrong with Pilot. The dog had been very quiet and subdued for the past couple of weeks. They had put it down to his age, but then one evening his son was fondling Pilot and noticed a swelling in his side. A couple of days later, when his wife was out and the children were at school, he took Pilot to his vet friend, not really thinking anything of it. The vet examined him and said that Pilot had cancer. ‘When she was giving birth to the kids she didn’t want me to be there,’ he said. ‘I remember her saying she wouldn’t be able to handle the pain if I was in the room. She had to do it on her own. They loved Pilot,’ he said, ‘but it was me who had trained him and disciplined him and made him what he was. In a sense I created him,’ he said, ‘to stand in for me when I wasn’t there. I don’t think anyone could have understood what I felt about him, not even them. And the idea of them being there and of their feelings having to take priority over mine was pretty unbearable, which I think,’ he said, ‘was more or less what she meant. ‘Nothing,’ he said. ‘Nothing at all. I was still sitting there and Pilot was still panting and gazing at me with these big eyes and I didn’t feel anything particularly, just that I was waiting for someone to come and get me out of this situation. It felt like it had become false, yet now,’ he said, ‘I would give literally anything to be back in it, to be back in that room in that precise moment of time. ‘The only thing I couldn’t get out was the mud under my fingernails,’ he said.